Make an impression with the Sony Xperia M4 Aqua, available in a cute coral color. This smartphone gives you everything you need and much more in one brilliantly engineered and featherweight little body. It weighs merely 136g and can be carried around easily. But the portability is just one of its many perks. It is equipped with two cameras; a 13MP rear and a 5MP front camera, both of which click pictures that look professional. You can click your way underwater as well, as this phone is waterproof to a depth of 1.5m in freshwater for a duration of 30 minutes. If you though that was all, think again! The Sony Xperia M4 Aqua gives you prolonged battery life thanks to the 2400mAh battery. This battery works with the Octa Core processor to give you optimum efficiency. The Android v5.0 Lollipop operating system is all it takes to add that special touch to your performance. This operating system is the most advanced yet and makes operating the phone dreamlike. 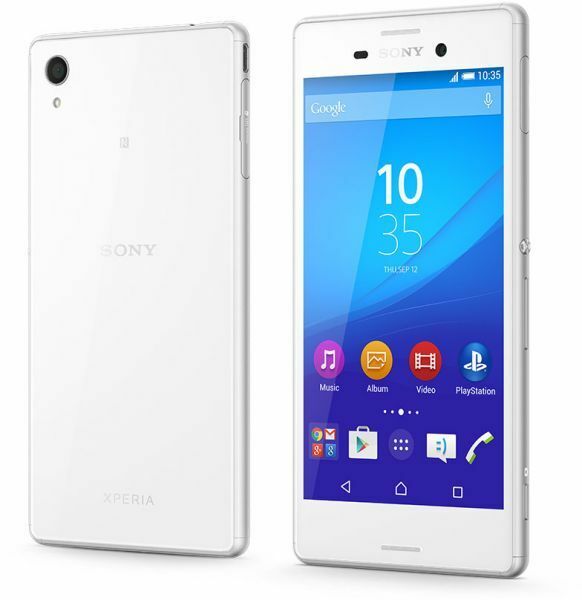 Standing slender at 145.5 x 72.6 x 7.3mm is the beautiful black Sony Xperia M4 Aqua. This phone possesses a featherlight weight of 136g and is brilliantly engineered to reflect refinement and cutting edge technology. This slim splendor might look dainty and delicate; however, it is robust and durable. It flaunts an Ingress Protection rating of IP65 and IP68. It is both waterproof and dust tight! The wide 5inch IPS LCD capacitive touchscreen animates all your content in the most realistic way possible. Run multiple apps together, browse the Internet with promptness, stream movies and videos smoothly; all on the brilliant Sony Xperia M4 Aqua. This phone is backed by state of the art technology that includes the Qualcomm MSM8939 Snapdragon 615 Octa Core processor, which enables you to do all of the above without breaking a sweat. This processor makes sure you get an impressive performance and speed without draining your battery. Adding the cherry on top is the Android v5.0 Lollipop operating system that is intuitive and easy to use. The Sony Xperia M4 Aqua not only gives you the best but gives it twice! For instance; you have two amazing cameras, not one. The 13MP camera clicks great pictures, the kind you would expect from a professional camera. It gives you stunningly sharp and precise pictures in every possible situation. So it doesn’t matter if the backlight is too strong, or the ambiance lacks light; with this camera, none of these technicalities matter. Taking videos calls to a whole other avenue is the powerful 5MP front camera. This camera not only lets you stream videos in high definition, but also gives you clearer pictures. The Sony Xperia M4 Aqua has an integrated 4G LTE modem that facilitates blazing fast Internet speeds that are unbeatable. Put simply, you get download speeds of 150MB and upload speeds of 50MB. As if that wasn’t enough, you also get WiFi 802.11a/b/g/n connectivity that lets you access the fastest wireless Internet speeds yet. Powered by a 2400mAh battery, this phone works harmoniously with your processor and increases the efficiency of power usage. With this smartphone, it is okay to forget your charging cable back home. It gives you a talk time of up to 12 hours and 40 minutes on the 2G band and 13 hours and 20 minutes on the 3G band. You also get an internal storage of 16GB.